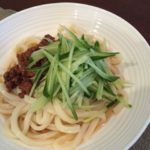 when you want to eat cold udon in the hot summer this recipe is good especially. 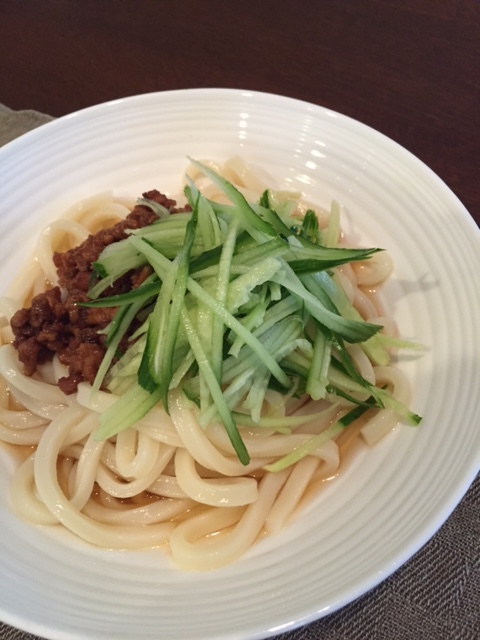 It is recommended to eat with vegetables suitable for cold udon like cucumbers and tomatoes. 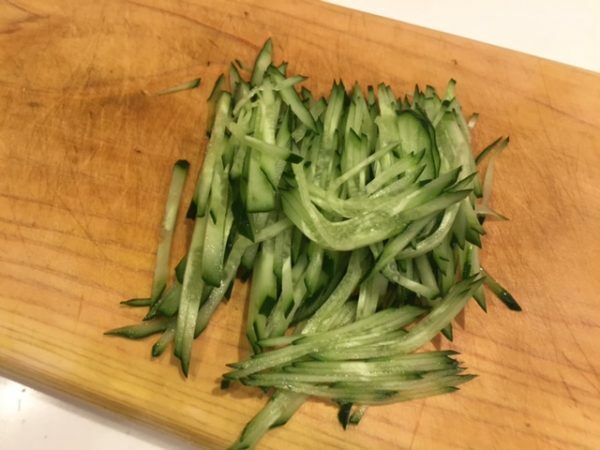 peel off the ginger skin and chop finely. 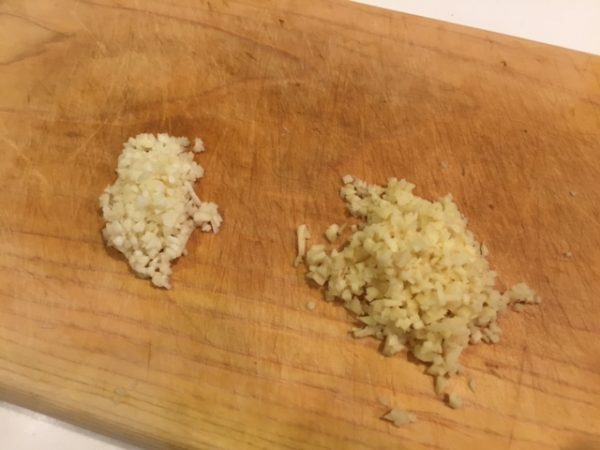 chop finely skinned garlic as well. 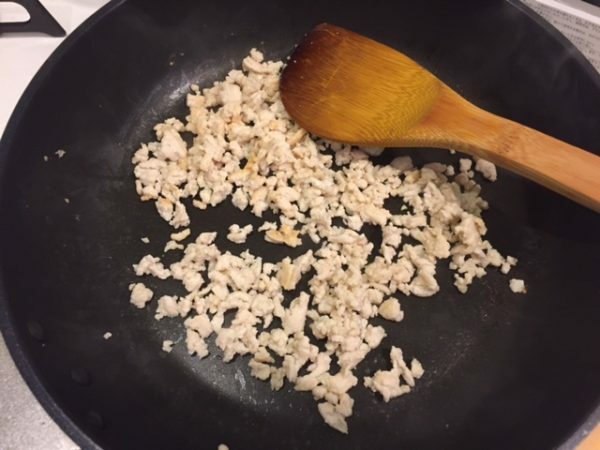 put ground chicken and 1 tbsp sake in a pan and fly the meat till it's cooked. take meat off from the pan and put it into bowl. 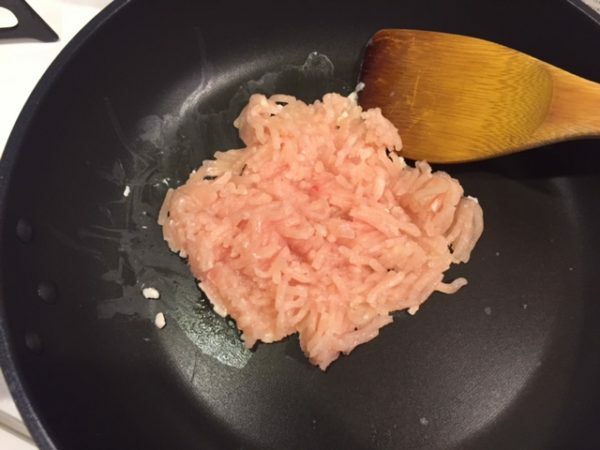 put chopped ginger and garlic, red miso, sugar, mirin and 2 tbsp sake in a pan and turn the low medium untill well mixed. 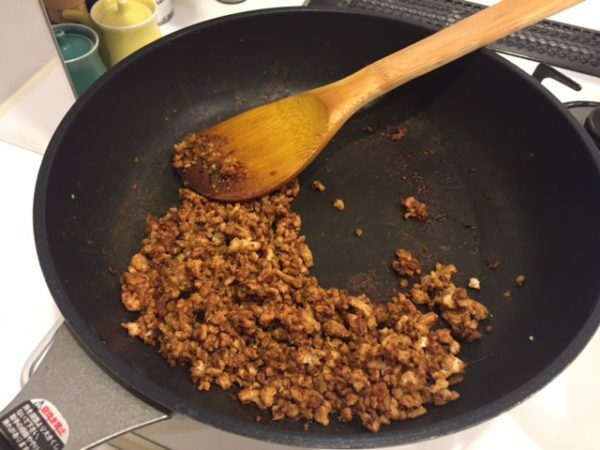 then mix cooked ground chicken, Tobanjan and chili oil into a pan and turn off the gas. 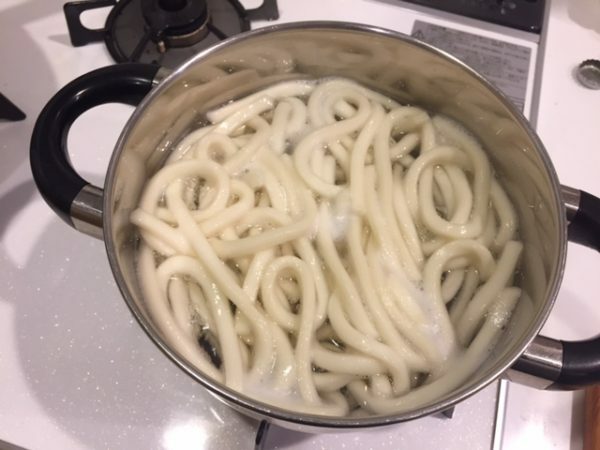 Boil water in a pot and put udon into boiled water. boil the udon untill cooked. take udon off from boiled water and to let udon cool with cold water. put the udon in the bowl, then put cucumber and cooked ground chicken on top of the udon. pour mentsuyu upon the udon.